Graphtec's Rhinestone Backing Board is one part of a total Graphtec Rhinestone Solution, including the Graphtec Rhinestone Backing Stencil, Graphtec Transfer Tape and Graphtec Rhinestones. The backing board is used with the rhinestone stencil to create a rigid surface for the rhinestones to fall into the cut template. The transfer tape is applied to the rhinestone design to lift the rhinestones for transfer to the garment. 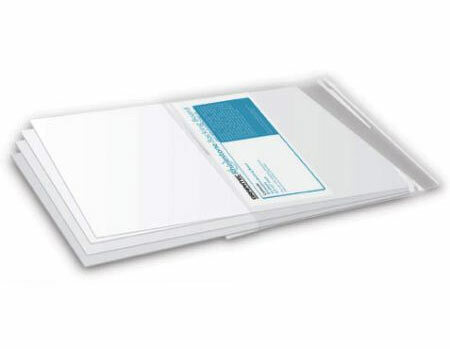 Graphtec Backing Board is available in 8.5 inch x 11 inch sheets, in packs of ten.